Our garden has been producing peas for a few weeks now. This is the second year that Leo and I have had a garden and we have grown them both years. 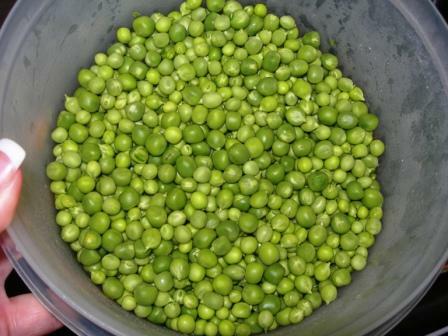 Locally, they are known as garden peas, but I’ve always known them as English peas. The variety that we planted is Early Alaska peas and there is no better way to celebrate spring than this recipe of creamed garden peas and new potatoes! I usually just cook them seasoned with a little bacon because that’s how Leo likes them. My mother said that my grandmother cooked them in a cream sauce, but I’ve never had them that way. Last week at dinner, Leo and his brother were discussing how their mother cooked new potatoes in a cream sauce which I had never had. This past weekend my sister-in-law mentioned that she had cooked some potatoes in a cream sauce one day last week and how good it was. So I got to thinking that I could combine peas and new potatoes in a cream sauce so that’s what I did Saturday night for dinner. OMG, it was so good! I don’t think that I’ll cook peas any other way now. It was the combination of both our heritages in this dish. 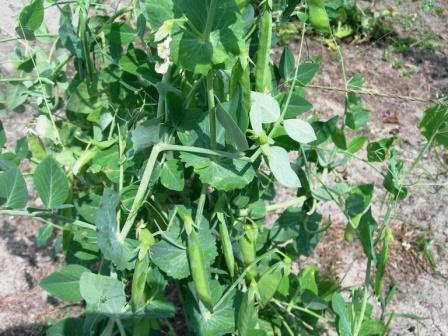 If you are not growing any garden peas, then go to your farmer’s market and get some (shelled or unshelled) and fix this dish. Trust me. I would not lead you astray. 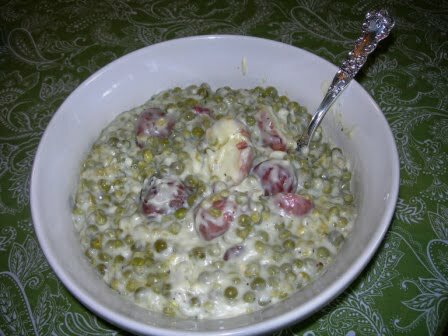 The only reason you would not like creamed garden peas with new potatoes is because you just don’t like peas. I picked these peas and Leo shelled them. This is probably about 3 cups of peas. First you will need to cook your peas. Place 2 strips of bacon in a pot and cook it on high for about 2 minutes. Leave the bacon and the bacon grease in the pot and fill your pot about 2/3 full of water. 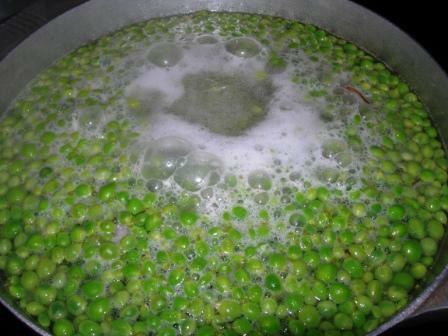 Add your peas to the pot and bring them to a boil. Add about 1 tablespoon of salt and cook the peas for about 15 minutes. 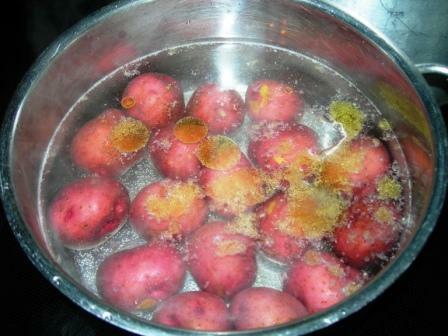 Meanwhile, put about 15 small new red potatoes in a pot. Add enough water to cover them, add 1 tablespoon of olive oil and a tablespoon of garlic salt. Bring to a boil and cook for 10 minutes. To make the cream sauce, melt 1 stick of butter in a heavy saucepan on medium heat. Add 5 tablespoons of all-purpose flour one tablespoon at a time to the melted butter. Stir continuously until all the flour has been added to the butter. Add salt and pepper and cook for 1-2 minutes. Gradually add 1 1/2 cups of milk (I used 2%) to the flour mixture while stirring. Bring to a boil and cook until thick and bubbly. Drain the peas and the potatoes. 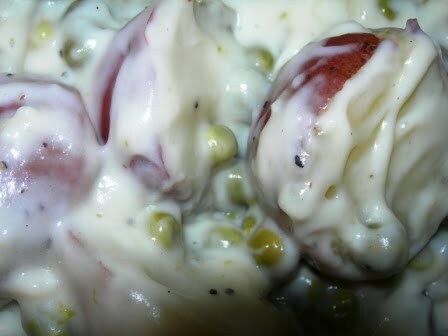 Cut the potatoes in half and add the peas and potatoes to the cream sauce. Stir to coat and serve immediately. A great springtime side dish! My Mother used to make this once in awhile when we were kids growing up. We had a big garden and the vegetables always tasted better from the garden. Thanks for the recipe. I love the pictures of your garden. A garden and cats–life couldn’t better!! A place to sit looks like a good idea. I don’t plant anything here in Oregon, because the growing season is too short. We do hang a couple of tomato plants on the deck, and of course the birds like to eat them! When we lived in Redding, CA it was the perfect place for a garden, because of the heat. I also planted flowers, onions and garlic around my garden to deter bugs. I bought Praying Mantis eggs because they eat bugs, and the strange thing is they liked to be touched! I also bought Lady Bugs. The only thing I couldn’t get rid of was the two inch long green tomato worms. So, one day I went to a farm with a large box that I had cut holes in, and I bought two Silky hens and a Silky rooster. They took care of the worms, and would fight over them! I’d pick the worms off the tomatoes, and throw them at them. But it sure does taste good. This is still funny, even after all these years! Thanks Jane for visiting my blog and leaving such a nice comment. I am a new follower of yours! One of my spring favorites. Great tutorial for recipe with your photographs. 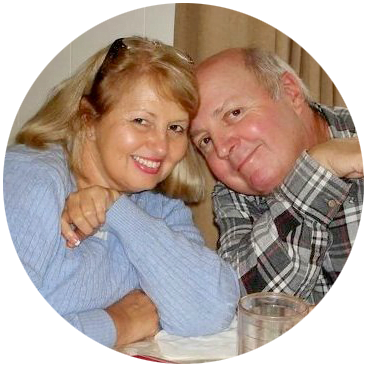 I’m visiting over from Debbiedoo’s…….. I love them both, however my husband and sons hate peas. I think my husband brain washed them. Thanks for sharing with my newbie party. I have to admit I’m more of a potato than pea fan, but with the addition of the cream, I’m sure this is a winning combination! Love those shelled peas’ beautiful color! Fresh produce from your garden always tastes so much better than anything else!